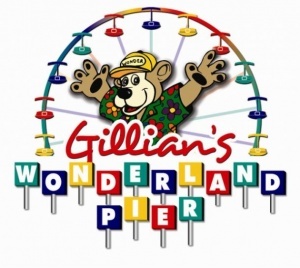 If you are looking for fun and excitement in ” America’s Greatest Family Resort” you will find it here at Gillian’s Wonderland Pier. Gillians Wonderland Pier is located at Sixth Street and the Boardwalk, in beautiful Ocean City, New Jersey. When arriving in Ocean City, head for the Giant Wheel, and let your fun and excitement begin. Welcome to the Official Ocean City, NJ visitor’s information site which includes amusements, beach and boardwalk information, calendar of events, dining, directions, entertainment, lodging, news, real estate, shopping and wedding information. 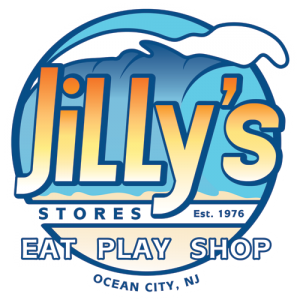 Established in 1976, JiLLy’s Stores are the premier place on the Ocean City, NJ Boardwalk to Eat, Play, & Shop. We are very unique to the Boardwalk in the fact that we are a multidimensional company operating several retail shops, food concessions, and amusements. Each of our facilities are built and designed with the entire family in mind. We are a 4th generation Family operated business that started in 1976. Welcome to Pirate Island! With three award-winning locations, Pirate Island has established itself as your premier family entertainment experience! Located along the Jersey Shore, each Pirate Island offers 18 holes that take you on a journey through theme-park like attractions of animated pirates, caves, waterfalls, suspension bridges, and pirate ships – a unique adventure for all ages! Whether you’re interested in the challenge of Kayak Fishing, an exciting day riding waves at the beach or a leisurely tour of the back bays, FIN-ATICS Kayak Rentals will hook you up!